Fulton Lodge will be hosting our annual Tobacco Days Fish Fry on Friday, July 15, 2016 from 4:00 pm to 7:00pm. Dinners for adults and children 6 and up are $10. Children under 6 eat for $6. Dinner includes fried cod, french fries, bread roll, and your choice of coleslaw or baked beans. The Order of the Eastern Star will be offering desert for an additional amount. Some of the proceeds will be used to help fund our annual scholarships for graduating Edgerton High School Seniors. The District 9 Meeting is tentatively planned for Saturday, April 30, 2016 at Fulton Lodge № 69 in Edgerton. Additional Details to be announced. Milton Masonic Lodge will be hosting the District 9 Summer District Meeting. It will be a “friends & family” style picnic with activities. The featured speaker will be Right Worshipful Deputy Grand Master Donald Hensiak. Cindy Provencher will speak about Job’s Daughters and Cori Olson of the Milton House and Historical Society will be giving a presentation on the Underground Railroad that took place at the Milton House followed by a tour. Meat and Beverages will be provided. Please bring the following a dish to pass, a lawn chair, the family, friends Masonic and Non-Masonic. If the weather becomes inclement we will move the meeting to the Masonic Lodge. Please share with your Brothers as soon as possible. RSVP to District #9 DDGM James (Jim) Gajdosik at [email protected] by July 2 so that we order enough meat and beverages for everyone. 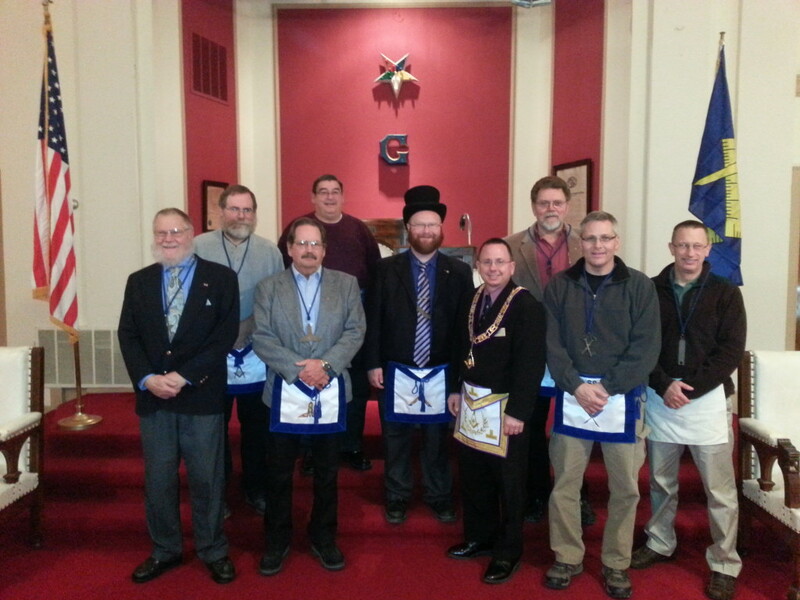 On Wednesday, December 3, 2014 Fulton Lodge № 69 will host its officer’s installation. This event is for members only. Installation begins at 7:30 p.m. with dinner to follow. On Saturday, December 13, 2014, Fulton Lodge № 69 will host its Annual Past Masters Night. Doors open at 6:00 p.m. with Dinner to begin at 6:30 p.m. Masons and Non-Masons alike are welcome. Tours of the building will be available after dinner. Doors open at 7:00p, Sign-up at 7:30p, event kicks off at 8:00p. Area 2 School of Instruction, Saturday October 11, 2014 at 8:30a to noon. Followed by Lunch.